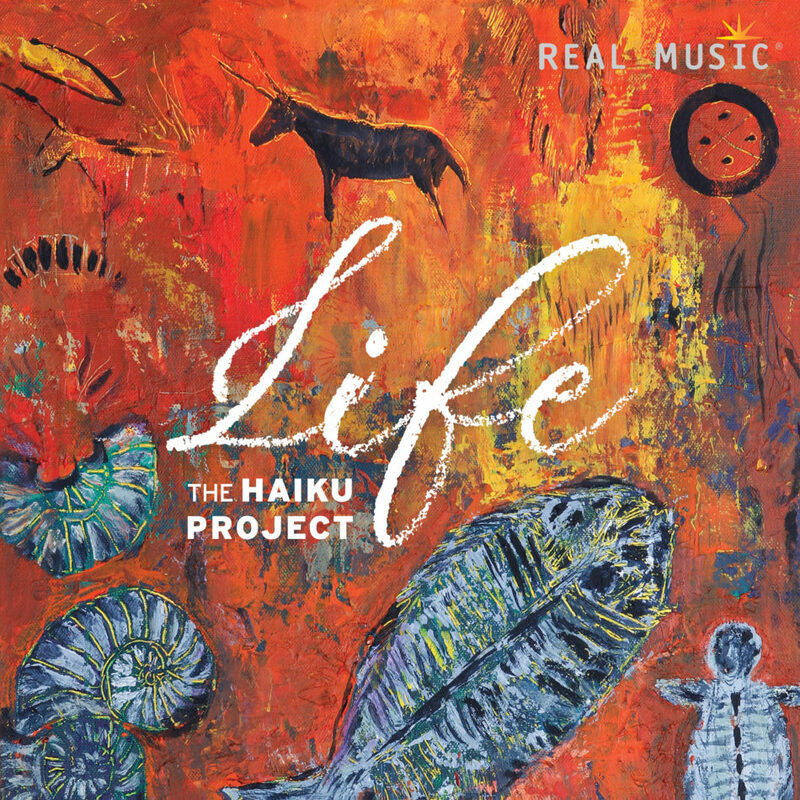 “With the release of Nebula The Haiku Project has now released 3 albums on the Real Music label. Nebula is an intriguing album and especially so with the delicate vocals that are provided by Sara Grabow who makes this album quite memorable. Sara Grabow as a singer has released 4 albums of her own that can easily be found on Spotify two of which are performed in English and 2 in Danish. Sara also hails from Denmark as does Henrik Hytteballe aka The Haiku Project. Her vocals provide an ethereal aura to the songs that she is featured on which allows the compositions to move in new and interesting directions. Nebula has found that perfect balance between voice and music that allows both to reach their full potential without detracting from one another. Nebula features 10 compositions 6 of which feature Sara Grabow’s voice as a major component of the arrangement and yet I still find the music refreshing and listenable even if left on repeat for an extended period of time. As a long time reviewer of instrumental and ambient music I am always doubtful as to how successful a pairing of vocals and instrumental music will be so that when a listener walks away from the experience they won’t be thinking how great the instruments were or how beautiful the voice was but how marvelous the compositions were as they became one in the performance. That is the difficult task that Henrik and Sara tackled with the creation of Nebula and let me congratulate them on crafting an album that is filled with emotionally rich music that touches the listener from the very first song to the last. From Henrik’s splendid piano work to Sara’s soft and delicate vocals there is nothing not to love about Nebula. It is very hard to pick a song to say that it is my favorite but I found Glow to be a song that I can listen to over and over again. With a gentle beat that keeps the song moving added to Henrik’s moving piano work and Sara’s perfect vocals there is nothing not to like about it. And even though Glow is a sonic delight the album is filled with songs that I feel are just as good. The two opening tracks of the album Nebula and Breeze alert the listener right from the beginning that they are in for a compelling musical journey that will leave them wanting more when the journey is over. Henrik has always valued nature and protecting that which is a part of us so it is only natural that his music would move and breathe with those kinds of values in mind. The titles of the compositions tell you where the journey will lead with songs like Creation, Glow, Earth, Water, Rain, Wind and Breeze. When you listen to Nebula you are hearing the passion that Henrik has for valuing nature and standing against those who would carelessly destroy that which also is part of what keeps us alive as well. The music of Nebula enthralls the listener and communicates this message through compositions that evokes the majesty of the earth we live on and the air that is the breath of our lives and the water that is a part of who we are as human beings. Henrik has woven all of those emotions and more into the songs of Nebula and along with Sara Grabow’s voice have intertwined a musical tapestry that will leave the listener appreciating the natural world that surrounds us even more. The music of Nebula is deeply poignant and revels in its ability to touch the listener’s soul and allow them to enter in to the visions of nature that Henrik and Sara share through this album. Needless to say the results are very impressive. The technical aspects of this recording are impeccable and the sound quality is first rate throughout. If you are not careful this music will wend its way into your spirit and remain a part of you long after you have left your home and started your day. Henrik and Sara have revealed their hearts in this music and you, the lucky listener, get a front row seat via your stereo to that revelation. Definitely deserves a place in your music collection. Highly recommended by Ambient Visions. The CD releases of both flow and Glimpses brought the music of Danish composer Henrik Hytteballe and The Haiku Project to the attention of instrumental music fans. 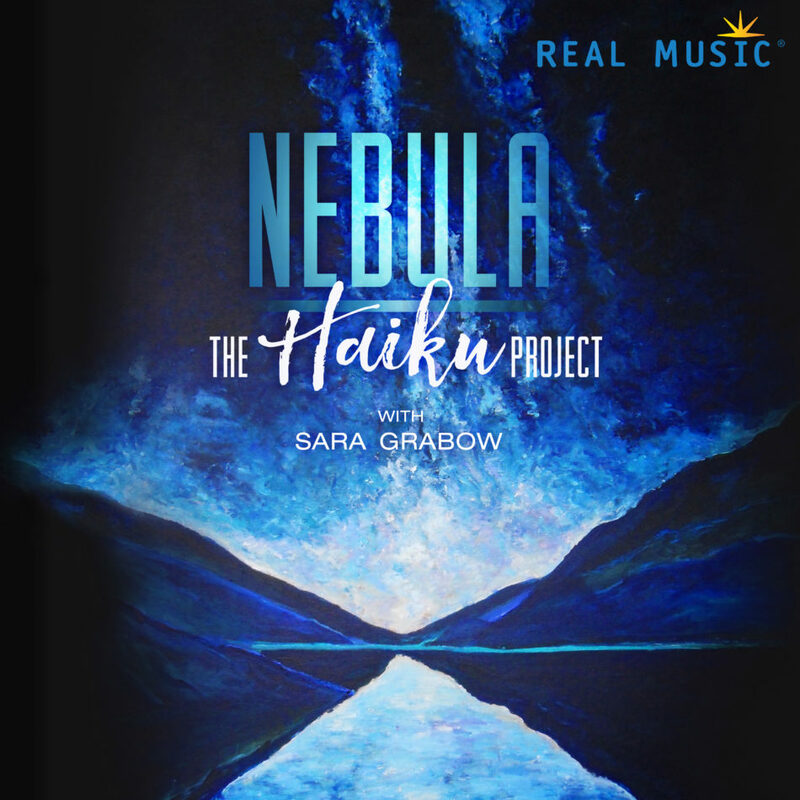 The 2017 CD release of Nebula, credited to The Haiku Project with Sara Grabow, takes the Haiku Project sound to new heights. The Nebula album was expertly mixed and produced by Freddy Albrektsen. The addition of vocals by Sara Grabow on several tracks gives Nebula a post-modern Scandinavian pop edge bolstered by Henrik’s vast array of instrumental sounds that highlights his great compositional strengths. With Sara’s vocals as a counterweight to Henik’s stark synth soundscapes, some tracks are quite startling, contrasting her New Age vocals with Henrik’s electronic neoclassical / soundtrack influence. With its impressionistic mix of 21st century electronica and postmodern, European romanticism, Nebula presents a fascinating cross-section of sounds. 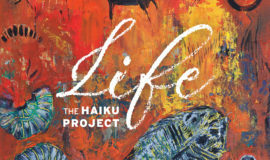 “The Haiku Project’s latest project Nebula begins with a titular effort that sets the stage for all of the twists and turns that are to follow. Strong sweeping synths have an air of gravitas. There is a strong narrative element that is weaved through this introductory track which makes its 5:30 run time seem much shorter. Breeze has hints of a vocal element that play at the upper registers while the piano line acts as the canvas upon which the rest of the track is built. While a listener can go about their day while Nebula is playing, we’d strongly recommend carving out some time and really focusing in on the music that is to follow. Creation really showcases the beauty of Henrik Hytteballe’s composition. The addition of Sara Grabow not only to this track but through the whole of the songs on Nebula make for a tremendously interesting and engrossing effort. Grabow’s vocals when present do add beauty, but they also are important as they add considerably to the overall sound of each of Hytteballe’s arrangements. 5th Element is one of our favorite tracks on Nebula. The more deliberate piano lines moor listeners to reality while the atmosphere created at the top of the track is much more fanciful. The wind-swept sound of 5th Element is something that is emotionally intense while being able to shift and change as Hytteballe desires. There are many words of color and description that could be used to describe the utter brilliance of Henrik Hytteballe’s (aka: The Haiku Project) compositions. I was last entranced by his work on the album Glimpses, and here, on Nebula, he does so again. On this latest release, Hytteballe employs the ethereal vocals of Sarah Grabow, and in doing so manifests into our reality one of the finest new age albums of the year. We can be amazed by the tones and energy of the title track “Nebula,” and then be left speechless by the sheer beauty of “Breeze.” The subtleness of production and performance here is incredible. Nebula is one of those very rare albums that you never want to end. Each and every track is so very carefully crafted to bring us, the eager listener, the very best that can be offered, as with the upbeat and empowering “Earth,” or the blissful ambience of “Rain.” There is a certain lush sense of beauty within this latest release, one that you can simply float on, like the delicacy of the track “Water,” or the smooth and sensual nature of “5th Element.” If you’re thinking about making Nebula part of your musical collection, don’t think, just do it, your musical heart will love you forever. This is an album that will be as addictive as your next sunrise.